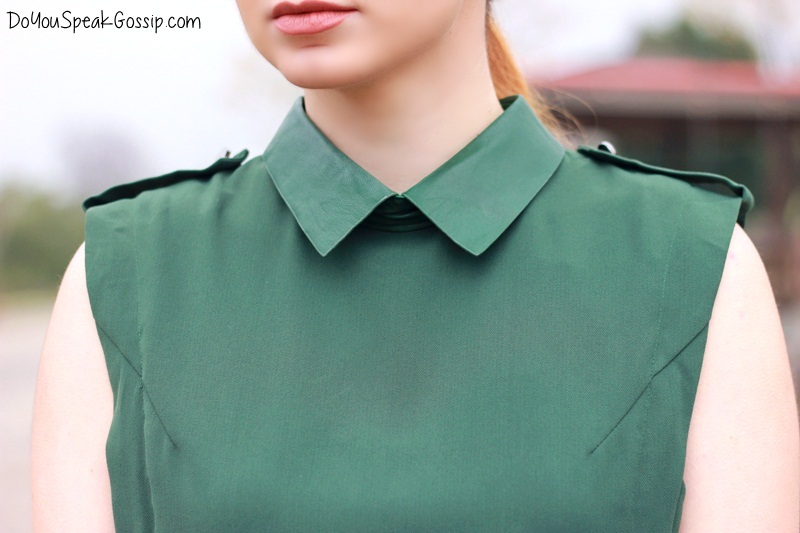 Military chic | Outfits - Do You Speak Gossip?Do You Speak Gossip? This is the 2nd post of my collaboration with Axel accessories, and it’s actually my favorite piece from everything I picked out. I fell in love with this dress as soon as I saw it, which was a little after I entered the store, and the first item I picked up and left on the dressing room to try out later. It’s absolutely perfect for me. 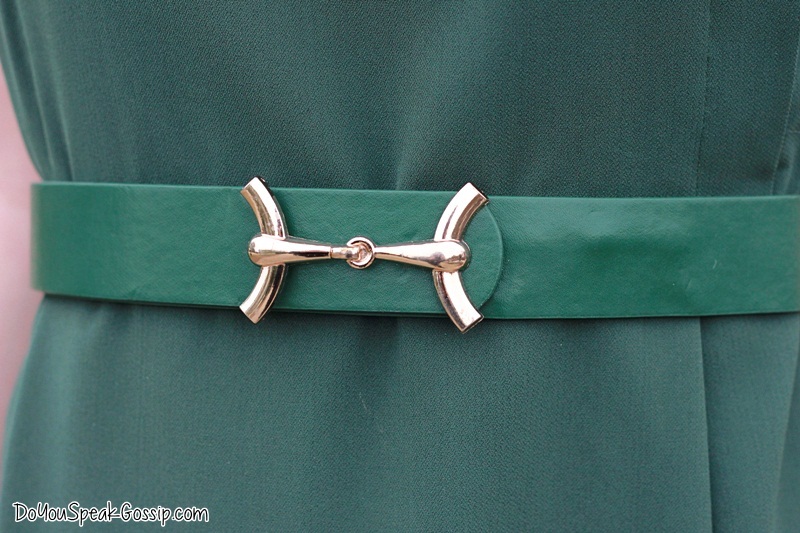 I love its green color, its leather collar, and strict military style, which made me decide on how to style it for this shoot. 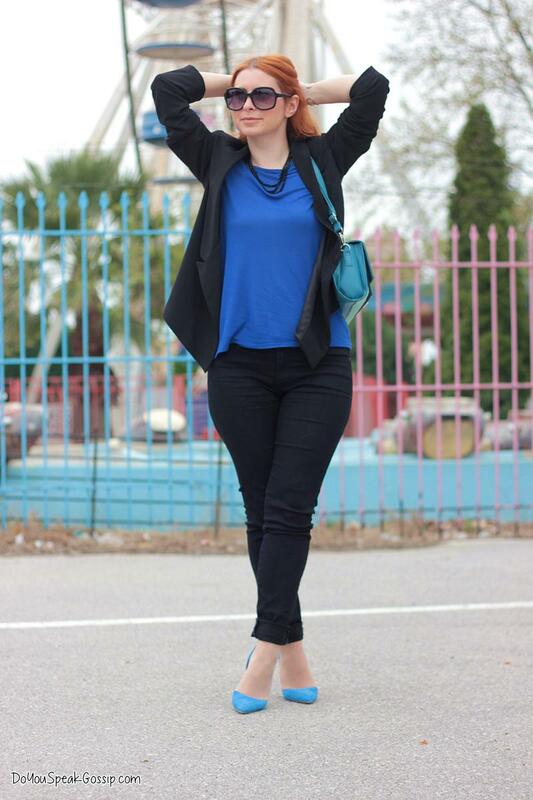 I paired it with this amazing black bag, a pair of (almost) opaque black tights, and my heeled booties. I wanted the whole look to be as strict as possible, for my style of course. The black studded bracelet was the perfect finish to the look. What do you think? Προσωπική, ταπεινή μου άποψη είναι πως ο συνδυασμός που έκανες είναι υπέροχος! Πραγματικά πανέμορφο και το φόρεμα και όλο το style! Σε ευχαριστώ πολύ Γιάννα μου! Να’σαι καλά! Χαίρομαι ιδιαιτέρως που σου άρεσε και που ξαναβλέπω και πάλι σχόλια σου στα ποστ μου! Φιλάκια πολλά! Absolutely stunning!! 🙂 This dress looks fantastic on you! so lovely and awesome dress! I really love the dress! The color is so beautiful, well done choosing that! The boots are great for the outfit and you styled all so beautifully! I loved the bracelet, but today my favorite piece is the bag – loooovely! You look really gorgeous and I loved the pictures! Makia! Το φορεμα σου παει τελεια!! 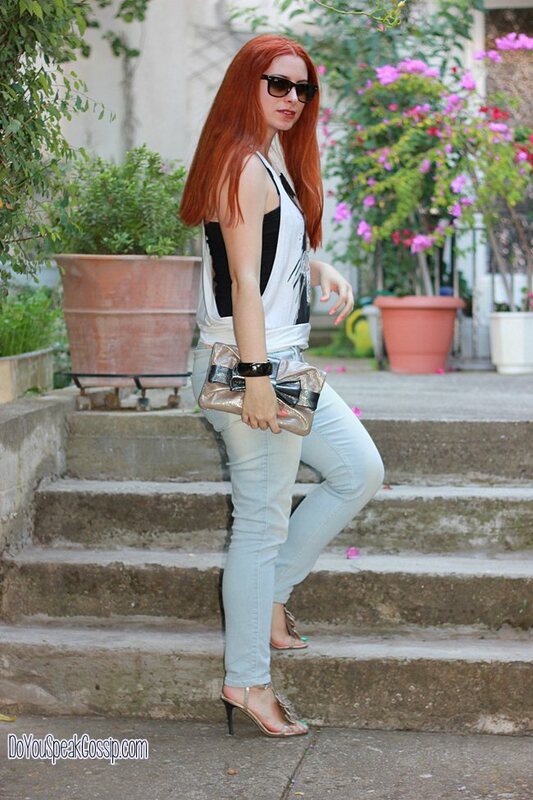 Γενικα ολο το look ειναι παρα πολυ ωραιο!!!! I love everything about this look! The dress is such a cute style, and the cape is fabulous. Thank you sweetie! It was my favorite piece of everything I chose from the company. DrC recently posted..Travels. Instanbul Snaps. Αγαπημένα axel…ειδικά το τσαντάκι το λάτρεψα! Υπέροχη όπως πάντα…φιλιά πολλά!!! Κι εγώ το ίδιο! 🙂 Αγαπημένα μου κομμάτια μαζί με το φόρεμα! Φιλιά πολλά! Pingback: Prints & leather | Outfits | Do You Speak Gossip? Pingback: Superhero | Outfits | Do You Speak Gossip?